YOP consists of two full orchestras (winds, brass, percussion and strings), two string orchestras (strings only), and a wind ensemble. 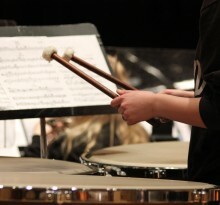 The beginning string orchestra and wind ensemble, (String Sinfonietta and Wind Ensemble), do not require an audition. 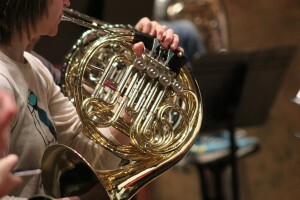 String Sinfonietta and Wind Ensemble musicians should have proficiency over certain scales and techniques before joining the ensemble. Auditions for the three remaining ensembles (CS, YCO, and RSYO) take place in the spring and summer for the following season. Learn more about the ensembles! The Richmond Symphony Youth Orchestra Program is very proud to support music education at all levels, and our policy has always been that Youth Orchestra musicians must participate in their school’s band and/or orchestra program, if class instruction is offered for their instrument. Teacher’s signature required during enrollment period. If you have any questions along the way do not hesitate to contact us – we are happy to answer any questions! 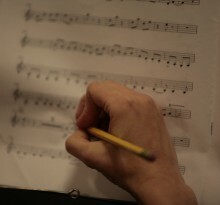 education@richmondsymphony.com.